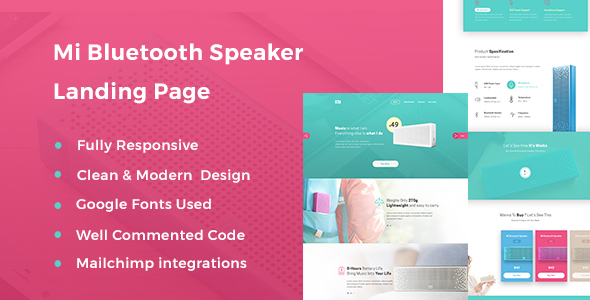 Mi is landing page is a modern design for marketing your electronics product business. Mi-will give interactive any kind of product presentation for your company. Its very clean and modern design we make it with our love. Integrated with most popular framework bootstrap 3x latest grid system that’s very easy to use. All the html, css, java-script code are well organized and commented to make any change easy to do without any problems. and we assure that the Mi help you to promote and increase your business, You can also use Mi template for any kind of product landing business purpose. likes use for business, use for camera landing, digital product landing, drone landing, you can use multipurpose, product landing, use for retail, use for electronics / Product selling shop or store, this template help you much to increase your business.